Create a lasting memory for the bride and ask guests to write in this stunning Advice Book. 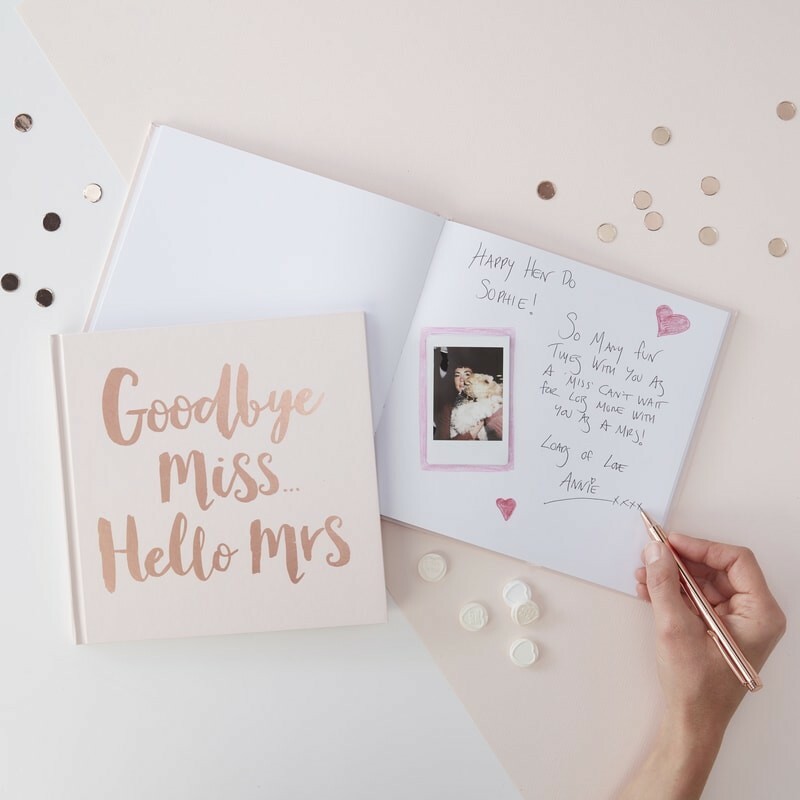 The bride to be can look back for years to come on the funny and loveable comments left by all her family and hens on her last celebration as a Miss, offering the bride words of wisdom and heartfelt messages. The beautiful rose gold lettering shimmers away on a crisp white background – a gorgeous keepsake for the bride to be. Each pack contains 1 advice book measuring: 21cm (W) x 20cm (H) x 1cm (D).